Petrasite:: My Previous Multiply Blog Entries Gone! 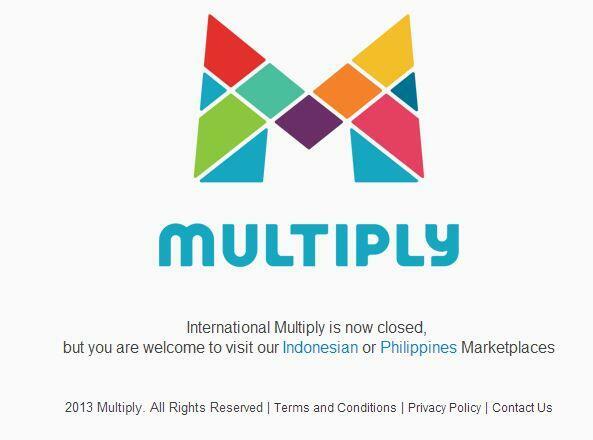 Apparently, Multiply had decided to shut down their blog feature and soley focus on eCommerce which I was totally caught off guard. After checking at Wikipedia do I realized it was announced last year August 2012. If I have known it earlier, I would have find ways to export my entries somewhere and migrate it to this current site. "An official announcement by Multiply's CEO, Stefan Magdalinski, was made on August 9, 2012, that the social networking portion of Multiply would be discontinued, including hosted blogs, videos, photos and messaging, in order to focus solely on e-commerce." Now I begin to wonder how am I going to back up my blog entries for this site.. how do you back up your entries you bloggers?! bro, on your blogger home page, go to settings>others, you can export blog and save as backup..